With 10 unique rooms Lagan Valley Island Conference Centre can accommodate a wide range of events including conferences, meetings, exhibitions, training events and seminars. The rooms range from the grand Island Hall, with a capacity of 400, to those ideal for small private meetings or dinners. Firstly select your room layout from the options below. Then identify the number of delegates to find the most suitable rooms for your event.. Further information can be found by clicking on each room. Technical Information is available via this pdf document. The Island Hall is the largest space and offers complete flexibility. It is ideal for large scale seminars, with retractable tiered seating for up to 400 delegates (bleacher seating), for your exhibition, conference, theatrical performance, event or banquet evening. Conference facilities include full stage sound and lighting systems, colour image projection and a 6 x 6 metre projection screen with onsite technician included in the cost of room hire. 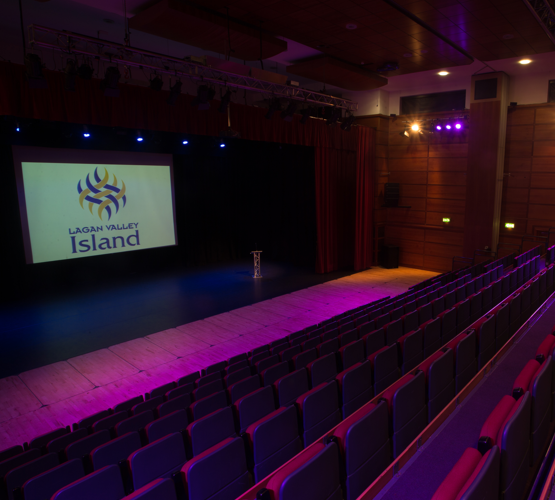 The main Island Hall can be divided in two for events, conferences and training up to 150 delegates. Conference facilities include full stage sound and lighting systems, colour image projection and a 6 x 6 metre projection screen with on-site technician and WiFi included in the cost of the room hire. The largest meeting room, the Chestnut Suite is a semi-circular room. 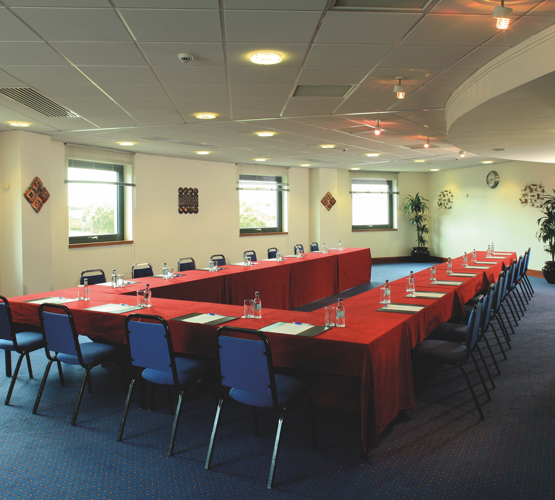 This room is ideal for training, small conferences, workshops and buffet receptions seating up to 100 guests. The room is also perfect as an exhibition venue and can be tailored in size to suit your needs. This bright, luxurious room with adjoining balcony provides the perfect venue for board meetings, corporate lunches and large-scale dinners. Room hire of this room includes access to an adjoining balcony, perfect for refreshments - weather permitting! The Oak Room is located on the second floor and is accessible by lift. It can cater for up to 42 persons and is ideal for meetings, workshops, seminars and training purposes. This room can be set up in a variety of layouts according to your requirements. 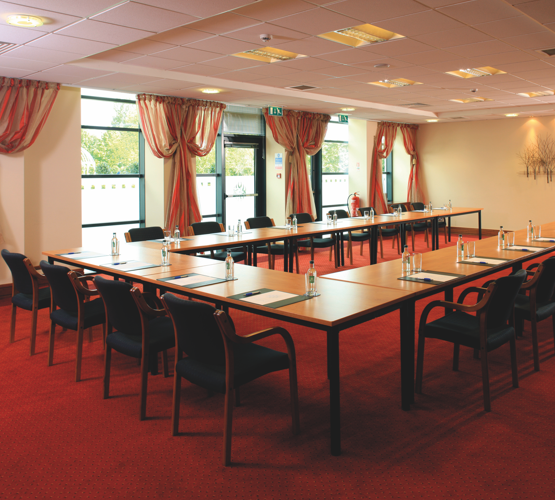 Located on the ground floor, the Alder Room, can accommodate around 40 to 50 delegates’ theatre style. With access to the garden patio and views of the River Lagan the Alder Room is a bright and airy venue for all kinds of business. The Alder Room has a floor to ceiling divide, which can partition the room into two - ideal for breakout groups or seminar sessions. Located on the second floor and accessible by lift, the Hawthorn room can cater for 14 persons. It can be set up board room and theatre style and is ideal for meetings, small seminars and training purposes. Located next to the Chestnut Suite, the Hawthorn Room and the other small meeting rooms are ideal break-out rooms or are available to hire on an individual basis. 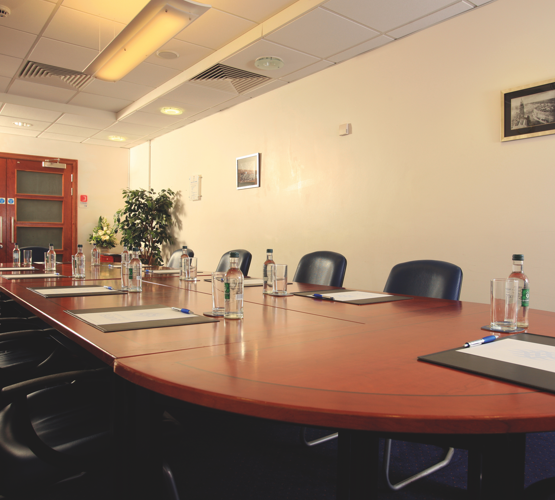 Located on the second floor and accessible by lift, the Elm room can cater for 18 persons in boardroom style. Located next to the Chestnut Suite, the Elm Room and the other small meeting rooms are ideal break-out rooms or can be hired on an individual basis for meetings, interviews and training purposes. 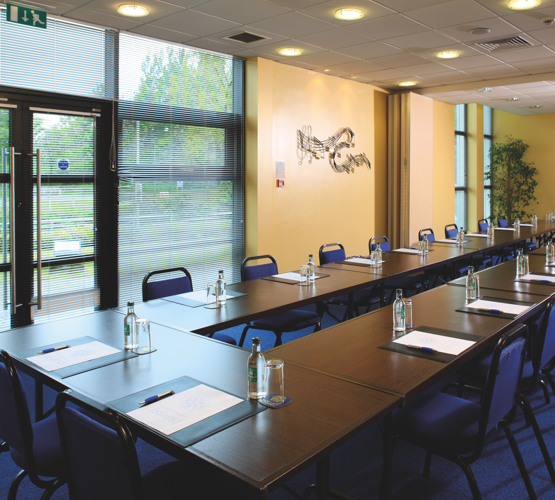 The Maple Room is one of our smaller meeting rooms catering for up to 25 delegates. Located on the second floor, this room is accessible by lift. Also located next to the Chestnut Suite, the Maple Room and the other small meeting rooms are ideal break-out rooms and are available to hire on an individual or group basis. The Maple can be set up in a choice of layouts. Located on the second floor and accessible by lift, the Hazel room can cater for 20 persons in boardroom style. Located next to the Chestnut Suite, the Hazel Room and the other small meeting rooms are ideal break-out rooms or can be hired on an individual basis for meetings, interviews and training purposes.